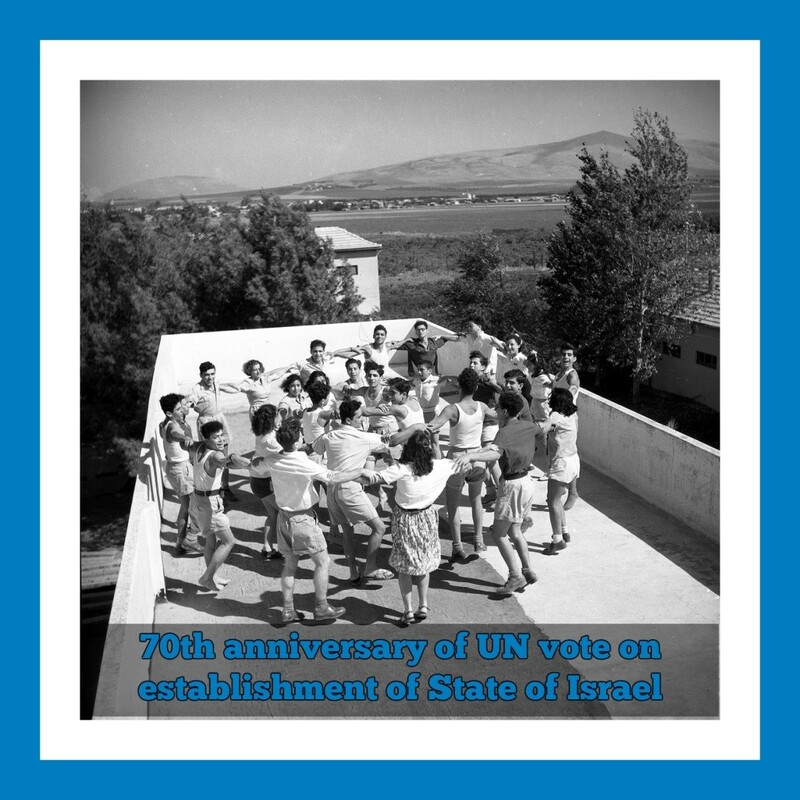 Seventy years ago, when the news broke out about the vote of the United Nations in favor of creating a Jewish State in Eretz Israel, thousands of women, children and men in the Yeshuv took to the streets to celebrate the historic day. In the midst of these celebrations, Menachem Begin, who would later become the sixth Prime Minister of Israel still remained cautious and said: "In the war ahead we'll have to stand on our own, it will be a war on our existence and future." A morning after this landmark vote, his prophecy became a reality when tensions that already prevailed in pre-State Israel turned into a regional war, a war which marked the beginning of our never-ending fight for our national home. Today, as we celebrate 70 years since that fateful vote, we remember the central and leading role WIZO has been playing in this fight for survival over the past 97 years. We remember the WIZO women and leaders behind the groundbreaking and life-changing work WIZO has been doing since 1920 to care, support and empower every woman, child and youth who came through our doors. We remember the educational and social work we have done and continue to do every single day based on our eternal Jewish values of Tikkun Olam – to make the Israeli society and the Jewish world a better place. Seventy years ago, our late Honorary Life President Raya Jaglom z"l served on the Jewish paramilitary organization Haganah to protect the Yeshuv. During her time in Haganah, Raya, whose legendary role as a pioneer WIZO leader will be celebrated in a special tribute in the upcoming MOR, promoted gender equality in the military – at a time many women were still barred from voting in their countries. But above all, Raya served to build our nation and for what Begin called "our existence and future". 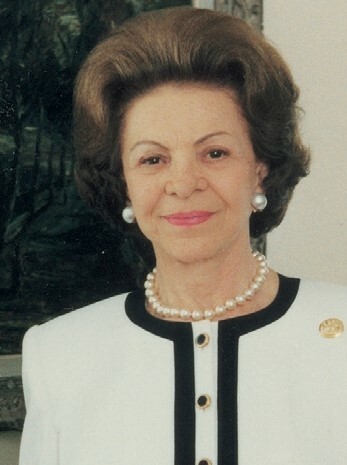 In my eyes, her service represents the service of WIZO throughout the history of our Jewish nation. For the entire Jewish world this UN vote and the events that followed marked a special time in the history of our people. Some Jews later realized the two-century old dream of Shivat Zion and made Aliya to fight for our existence both in the IDF and in Israeli society. Others carried on the sacred fight for the State of Israel outside of its borders, in their own communities and countries. This is the fight each and every one of you is leading as our Ambassadors of WIZO and of the State of Israel. This fight is very familiar to me from the days of my childhood until I made Aliya. When I think about this historic day, I recall the famous anecdote of my father about a very special Zionist but non-Jewish friend and patient he had in Uruguay who played a key role in the passage of this vote, seventy years ago. Prof. Enrique Rodríguez Fabregat, a Uruguayan teacher, author, journalist and politician gained prominence when he co-author of the famous children's rights convention, with Gabriela Mistral, which formed the basis of UNICEF's work. Jewish people. He later also lobbied for the passage of the vote in favor of the resolution. To this day, I remember my father's pride when he recalled the moment Prof. Fabregat, met him after the UN vote, calling out: "Don Marcos, we did it!" My dearest Chaverot, we all did it. We raised a whole nation – a successful nation from the sand. Our ancient dream of rebuilding the Jewish State became a reality thanks to the work of our predecessors, the WIZO leaders and other Zionist leaders who with great devotion and care built the nation we call home. Our work is not done but we will continue to work together to strengthen and empower the Israeli society. Together, we will lead our Jewish State forward through championing equal opportunities and rights to every Israeli citizen according to our Jewish, Zionist WIZO values.